The World Youth Tournament took place in Japan, where the 16 best teams from around the world fighted for the trophy. After victories against Mexico, Uruguay, Italy and Holland, the Japan Youth team beat Brazil Youth in the final, and our heroes became world champions. This tournament is the end of the World Youth storyline. Coming up next is the Road to 2002 storyline. As a preview, the last match of Tsubasa in Brazil, between Sao Paulo and Palmeiras, has been updated. In this update, all the data of the second asian qualifying tournament has been added. Japan became the asian champions, beating South Korea in the final. The japanese team won every single game of the tournament, beating Saudi Arabia and China along the way. The next update will include the final stage of the World Youth Tournament. All the information regarding the first round of the asian qualifiers for the world youth tournament have been incorporated. This includes the Japan Youth matches against the weak Taiwan Youth and the powerfull Thailand Youth. The second round of the asian qualifiers is coming up next. All the statistical information of the challenge against Real Japan 7, published in 1994 and 1995, has been added to our database. First confrontation between Japan Youth and Real Japan 7 (three 30 minute games, where Japan 7 beat different Japan Youth lineups 3-2, 5-0 and 6-0). Revenge game where Japan Youth destroys Real Japan 7. 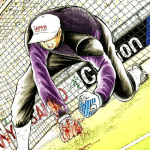 All the statistical information of the events that took place in the one shot manga titled “The Strongest Opponent! Holland Youth”, published in 1993, has been added to our database. National High School final between Toho Academy and Nankatsu. The three friendly games between Japan Youth and Holland Youth. 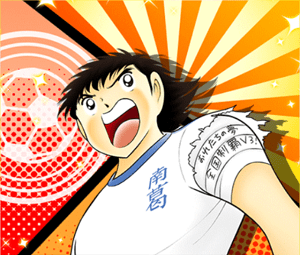 The World Youth storyline has arrived to Captain Tsubasa stats! Games played in Italy by Shingo Aoi playing for Inter and against Juventus and Milan. Games played in Brazil by Tsubasa and Carlos Santana, playing for Sao Paulo and Flamengo respectively. Apart from those games, player info of the main characters now includes the height and weight at different ages: elementary school (ES), middle school (MS) and high school. 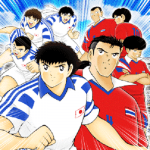 The Elementary School storyline has been added to Captain Tsubasa Stats! This storyline goes from the very beggining of the manga series, when Tsubasa Ozora was 12 years old and in 6th grade, until the start of the Middle School storyline, already coverd in our website. 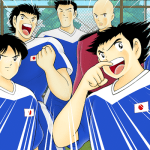 All the Nankatsu tournament, regional qualification and Elementary School Tournament matches have been uploaded to our database, with information about all the relevant players and teams, and lists of the best scorers, assiters and goalkeepers. 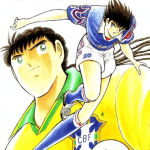 Therefore all the events of the first Captain Tsubasa book until the World Youth volumes are shown in our database. World Youth events are coming up next. 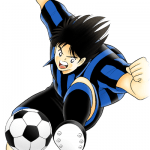 The International Junior Youth storyline has been added to Captain Tsubasa Stats! All the friendly matches previous to the tournament and all the International Tournament matches have been uploaded to our database, with information about all the relevant players and teams. On top of that, a new section called Tournaments is now available on the website. In this section you can check the results of the different tournaments that have been covered in Captain Tsubasa Stats. You can also see the top scorers, assiters and goalkeepers of each tournament. The next update will cover the Elementary School timeline, from the beggining of the anime to the events already covered in the website. 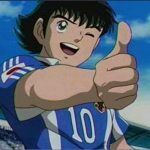 Welcome to Captain Tsubasa Stats! 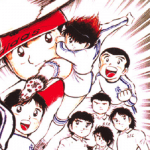 This website is a database of statistical information regarding the events of the Captain Tsubasa manga and anime series. 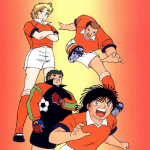 This series is better known in the west with alternative names such as “Olive et Tom”, “Oliver y Benji”, “Super Campeones”, “Super Campeões”, “Capitão Falcão” or “Captain Majid”. As a sports fan that loves to dig into player and team stats and as a Captain Tsubasa enthusiasts, I was really interested in checking each of my favorite players numbers, but was unable find this online. So I decided to do it myself! This project is a work in progress. Currently I have covered all the events that took place during the Middle School storyline. The next storyline that will be covered is the international tournament that takes place right after the end of the Middle School National Tournament final between Nankatsu and Toho. Score at least one goal. Make at least one assist (goal pass). Be named one of the top 24 players of the tournament. Whenever a new storyline is completely uploaded I will update this post feed to let everybody know. I hope you enjoy this site, have fun!